Amazon has launched a new Android tablet in the form of the Amazon Fire HD 8 and the device will retail for £89.99 in the UK. The Amazon Fire HD 8 is equipped with an 8 inch display with a resolution of 1280 x 800 pixels and it comes with a quad core 1.3GHz processor and 1.5GB of RAM. Fire HD 8 delivers access to millions of movies, TV shows, songs, books, and apps and games, as well as exclusive features like X-Ray, ASAP, Second Screen, Amazon Underground, and On Deck. With its 8” HD display and portable size, Fire HD 8 is the perfect tablet for entertainment. 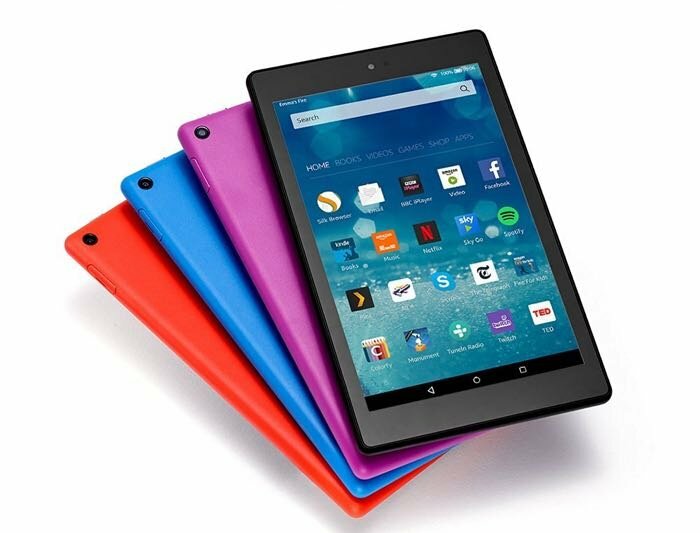 Other specifications on this new Amazon tablet include a choice of 16GB or 32GB of storage and a microSD card slot which can take up to 200GB cards. The tablet is equipped with a 4,750 mAh battery which Amazon says will give you all day usage and there are also front and rear facing cameras. The device comes with Amazon’s Fire OS 5 you can find out more details about the new Amazon tablet at the link below.